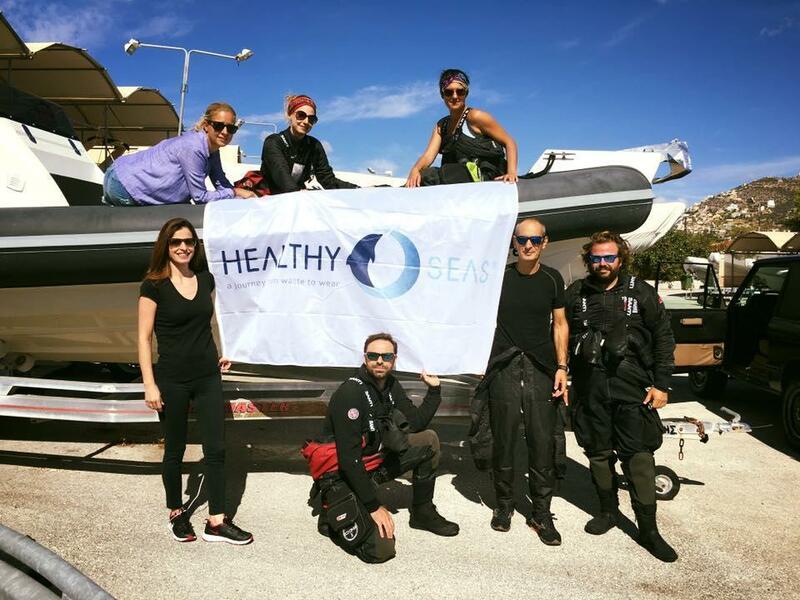 Athens, 26 September 2016: Last Saturday, 24 September, MEDASSET in cooperation with the AquaTec diving team performed another successful ghost net clean-up mission, as part of the “Healthy Seas: A Journey from Waste to Wear” initiative in Greece. The team’s mission was to remove lost fishing gear from the wreck of the “Kira Leni”, which sank back in 1978 due to bad weather near the south coast of Patroklos Island. The two main pieces of the wreck, the bow and stern, are now lying at a depth of around 32 metres. Over the years, the wreck has gradually been colonised by a wide range of marine life including moray eels, groupers and smaller fish who seek shelter here. Diving conditions were good, which helped in the success of the mission. 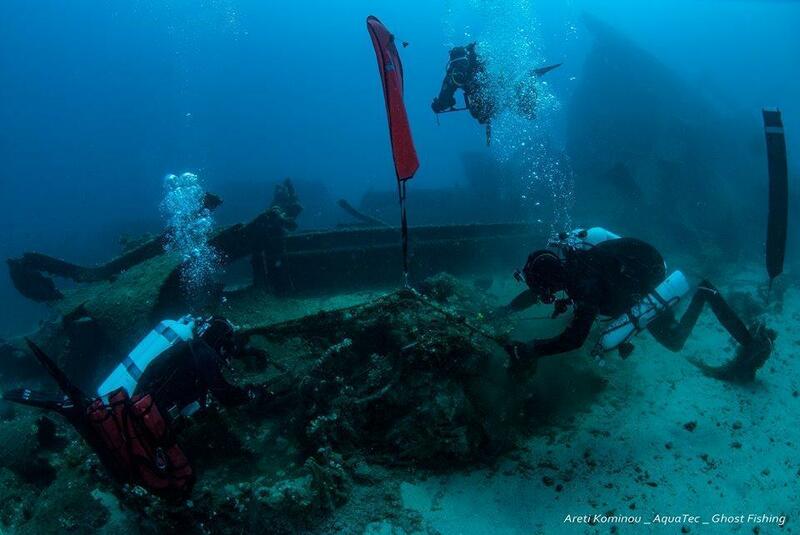 The six person team managed to clear the whole of the “Kira Leni” wreck and by the end of the day a total of 250 kilograms of nets had been brought to the surface for processing. Note to Editors: The “Healthy Seas” initiative aims to recover fishing nets from the seas and to regenerate them into high-quality ECONYL® yarn, which is subsequently used in the manufacture of brand-new products such as socks, swimwear and carpets. The initiative, coordinated in Greece by MEDASSET, has been running here since 2015.